HealthBridge required a unique website for an event they host annually in September called Steps for Change. This event acts as a fundraiser where people can walk to raise funds and have friends and family support them with donations. 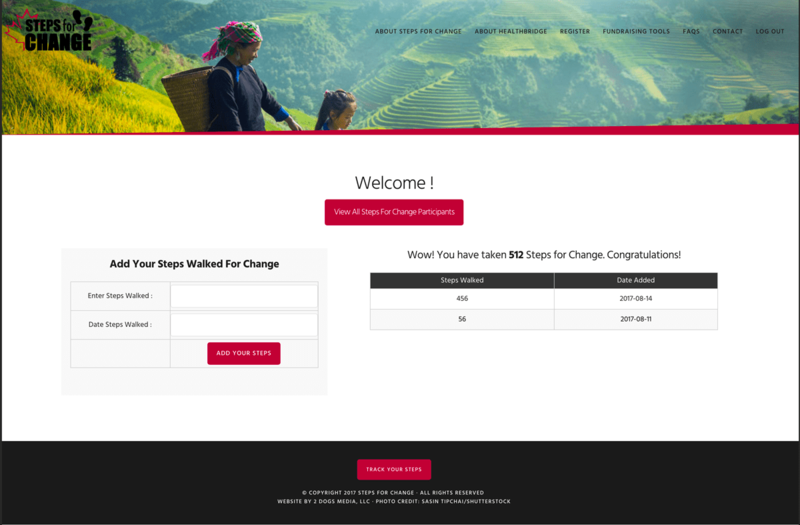 The client needed a system that would allow for fundraising pages, a step tracker where people can enter the steps they have walked and a tally for each to see what team or individual has raised the most money and walked the most steps. Since there was no plugin or pre-made solution to create this type of website we developed a custom application that utilizes a combination of custom code, Gravity Forms and the GiveWP plugin to make the magic happen. We have kept the development website on our server so you can view and test the website to see how it functions. As the most critical portion of the website project we knew we needed to really think through how to make this application user friendly but have it be a viable way for participants to share and encourage friends and family to support their initiative. 1) Utilizing Gravity Forms we created registration forms allowing an individual to Create A Team, Register as an Individual or Join An Existing Team. 2) Once a create a team or individual registration is submitted it feeds the data into the GiveWP donation form custom post type. This includes have a registration fee on the form that feeds into the GravityWP donation amount to ensure all funds are allocated properly. 3) Join the team registrations will see a list of existing teams to become a part of in their registration form. 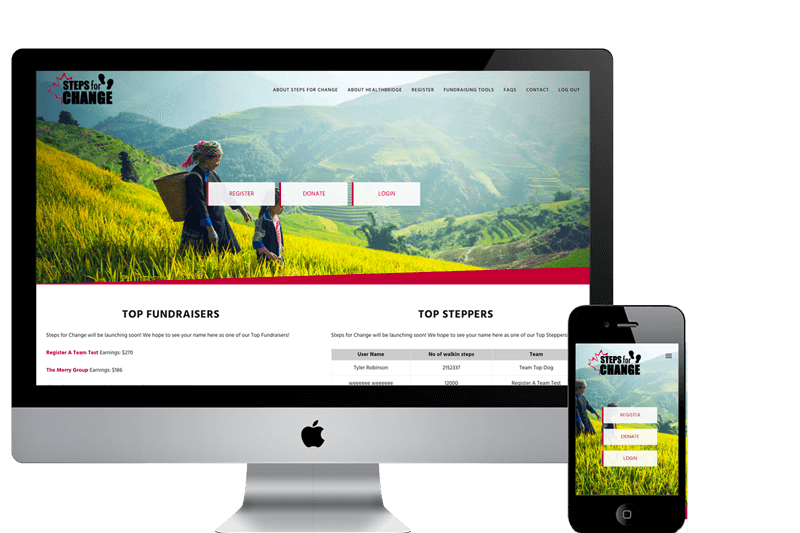 GravityWP tags were used to differentiate between teams or individuals and each registrant has the ability to upload a photo and add custom text to their fundraising page. They can also enter a donation goal which will then show as a tracker on their page so friends and family can see how they are doing! Once a participant is registered they will be able to access their "step tracker" dashboard which will allow them to enter the steps they have taken during the month long event. These are stored in the database and then shown on the home page as a widget area so that the top "steppers" can easily be seen. Also on each team page there will be a list of the team members along with the amount of steps they have walked. This was all done with a custom plugin that was created just for this project. Could Your Nonprofit Use This? Because this website is built solely for the purpose of a fundraiser we can make this readily available to other nonprofit organizations at a reduced cost. We can modify the colors, images and text to make it your own and have a website that can act as a fundraising platform for a walkathon, run, bowlathon and more.